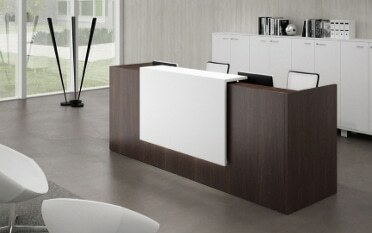 Creativity in the workplace is not just a necessity for the design and advertising industries. It’s a vital component in any industry sector. Creativity breeds new ideas. It inspires better teamwork and bonding. With creativity there is a greater level of workplace engagement and interaction, with staff morale boosted and problem solving and productivity enhanced. Employers will also find it easier to attract and retain quality personnel where their workplaces are geared up to inspire creativity. Some of the world’s leading organisations have ploughed a great deal of imagination into designing creatively inspirational workspaces. Google is one of the key names to mention here. Its Zurich office for example is awash with basketball courts, a jungle area, a movie room, slides, fireman’s poles, a foam-filled bath and an aquarium as well as gondola-style meeting rooms. Over at Airbnb in San Francisco, staff work in what can be likened to neighbourhoods built around large project rooms. 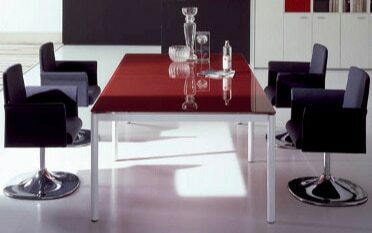 They are kitted out with displays, whiteboards, pin boards and tall tables. 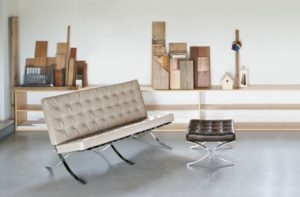 Everyone is free to work wherever the mood takes them and are welcome to create their own spaces by decorating them. 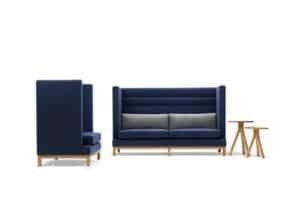 You may not be working to such a scale, and perhaps you don’t want to go toooutlandish with your ideas like these big brands have done, but there really is something to be said for taking steps to create a working environment that encourages and inspires creativity. So, how to go about it? Let’s take a look at some ideas. Creativity is stunted where people feel hemmed in and their scope of vision is limited. Observing what other people are doing can inspire creativity. So be sure to open up the field of vision for everyone in your office. Avoid situating desks facing walls or dead ends. 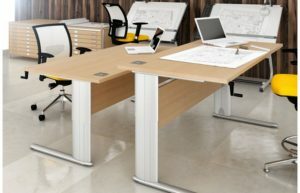 Wherever possible, position desks so that staff can see inspirational things like window views, artwork and plants, and so they have the maximum scope of vision possible around the workspace. Where privacy and zoning is necessary, use glass walls to open up the view. 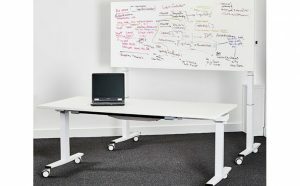 Encourage freedom of movement around the office. If people feel comfortable to get up and move about, their creativity won’t be stifled. Walking is proven to inspire ideas, so perhaps create an outside space for staff to walk about in the fresh air, maybe amongst plants and a water feature. An inside space of a similar kind could work just as well and anything involving nature will work wonders, because studies prove being in or near nature, or something that gives the impression of it, has a marked positive effect on creativity. Whatever you do, avoid creating an environment in which people don’t feel relaxed enough to leave their desks. Creativity inspires creativity: it’s as simple as that. So fill your workspace with inspirational elements. They don’t have to be artworks by the great masters. Maybe bring in a local graffiti artist to decorate a plain wall. Or showcase poems, short stories, sculptures, paintings and drawings by your own people. What a way to engage your staff and get them to really know each other! A doodle or colouring-in wall is another great idea to get those creative juices flowing. A wandering mind is a creative mind after all. A raft of research demonstrates how natural light positively impacts creativity. Introduce as much as you can by maximising window space, adding glazed panelling into through-doors and fitting skylights where possible. 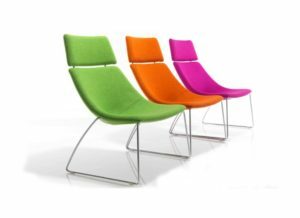 Bright, lively, happy colours work well to boost creativity, but be sure to avoid heavy, oppressive shades. 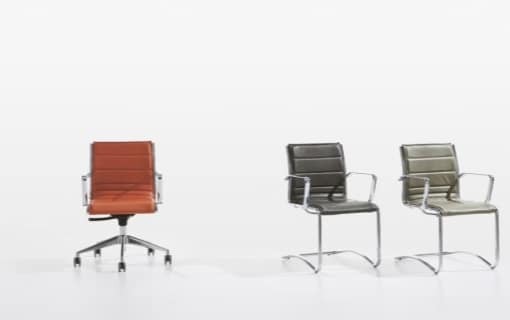 As we’ve discussed, one of the most effective ways to inspire workplace creativity is to allow flexibility. 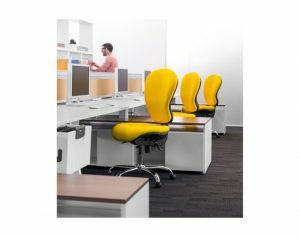 Introducing the likes of sit-stand deskswill help greatly with this, allowing staff to work as they choose. 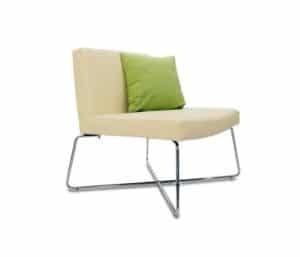 Comfort also plays a vital role where creativity is concerned. 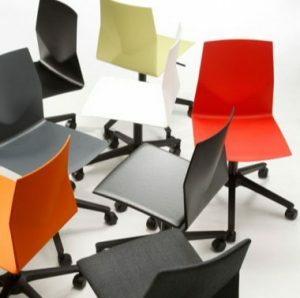 Choose office chairsthat suit the individual needs of your workers, remembering that everyone is different. 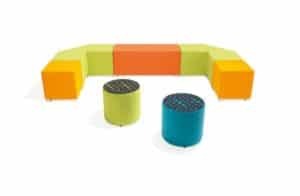 Create some informal zones with breakout seatingwhere people can sit and think quietly whilst doodling or colouring-in. 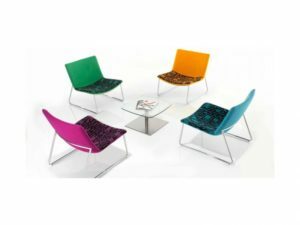 There really is so much you can do with carefully chosen office furniture to help get those creativity levels right up there. Boost workplace creativity with the help of Tag Office! 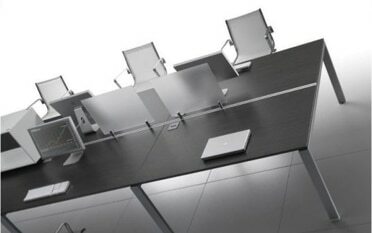 Tag Office is a nationwide supplier of high quality office furniture. 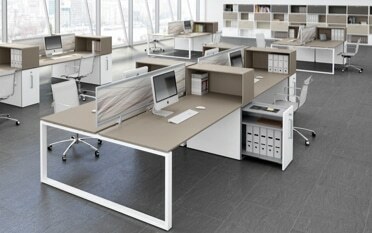 Our collections comprise numerous options that can be used to inspire workplace creativity. Our helpful team is always delighted to provide personalised advice on selecting the right furniture to suit your particular needs. Why not give us a calltoday for the guidance you need? We look forward to helping you! 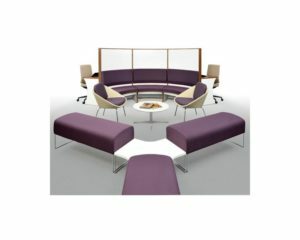 Posted in Boardroom, Breakout Zone, Height Adjustable Desks, Office design ideas, Office Seating, Sit-stand Desks and tagged breakout seating, creative office design, height adjustable desks, office chairs, office design for creativity, office design ideas, sit-stand desks on 11th August 2018 .